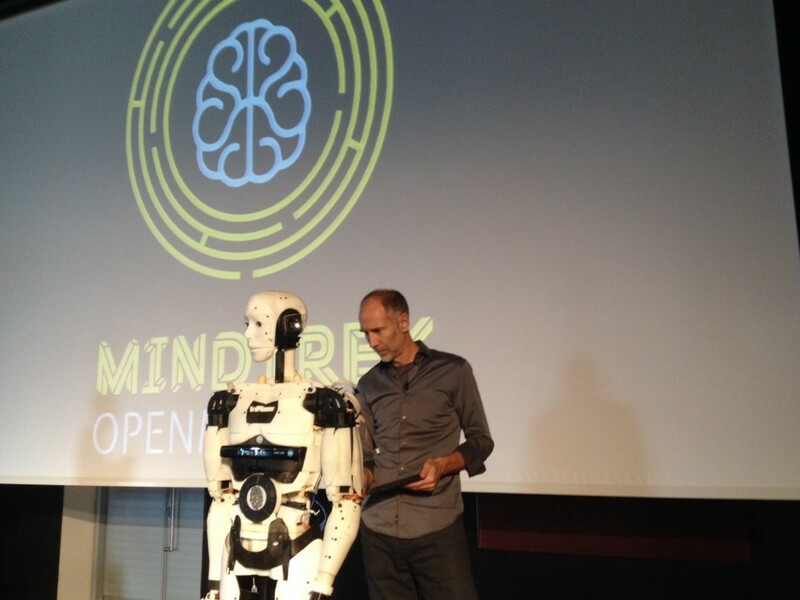 We were invited as keynote speaker to the MindTrek OpenMind 2015 in Tampere, Finland! 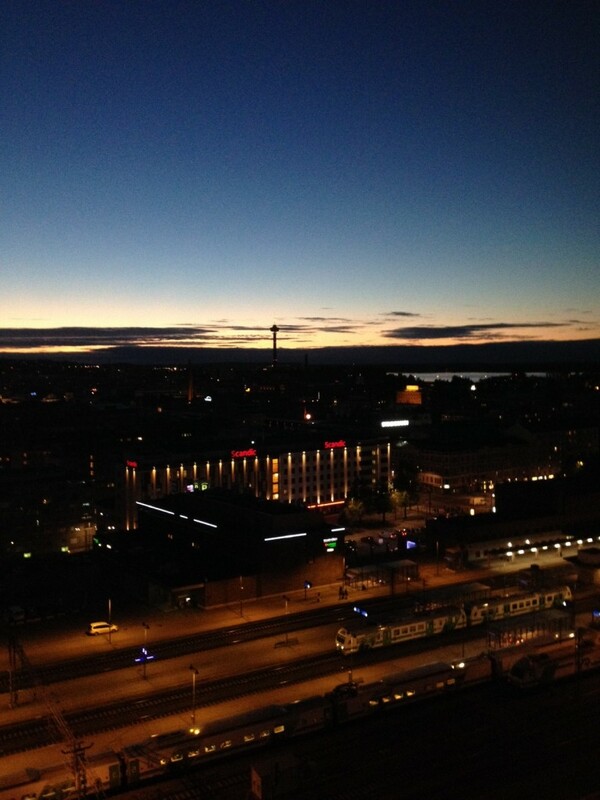 MindTrek is an international three-day forum about the future of open source, open data and open content. 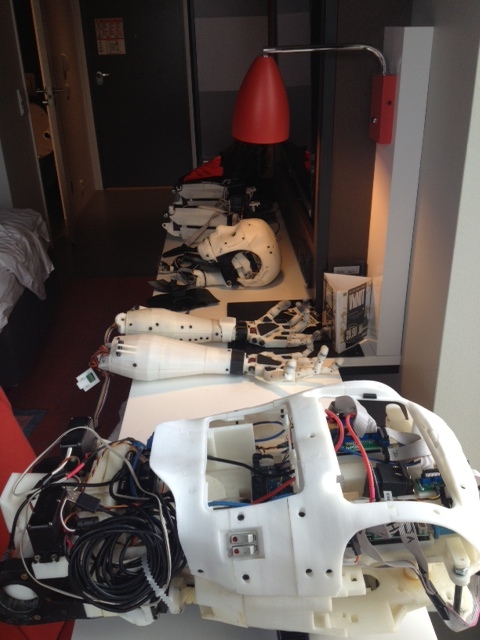 InMoov before assembling in the hotel room. You can see the new design of the back were the screen and batteries can be inserted. 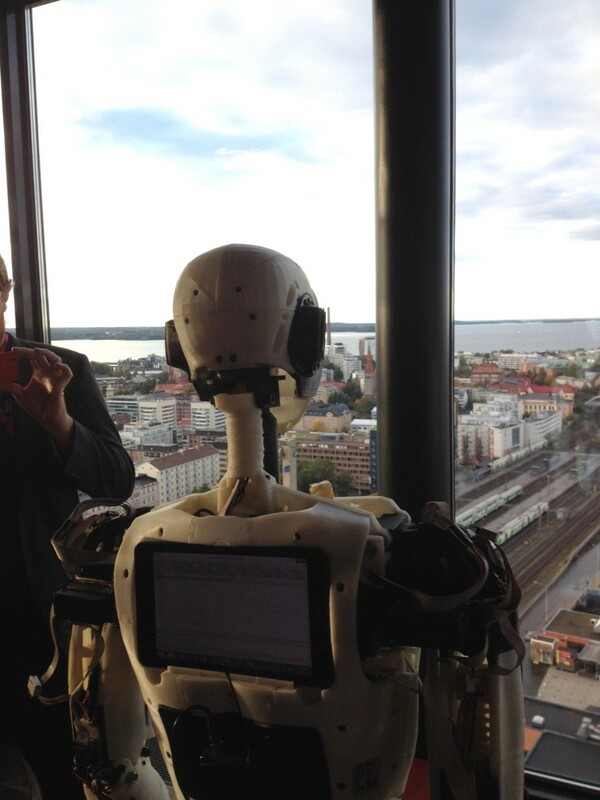 InMoov looking at the city of Tampere from the 25th floor. Thinkpad Tablet is set in his back and running MyRobotLab. 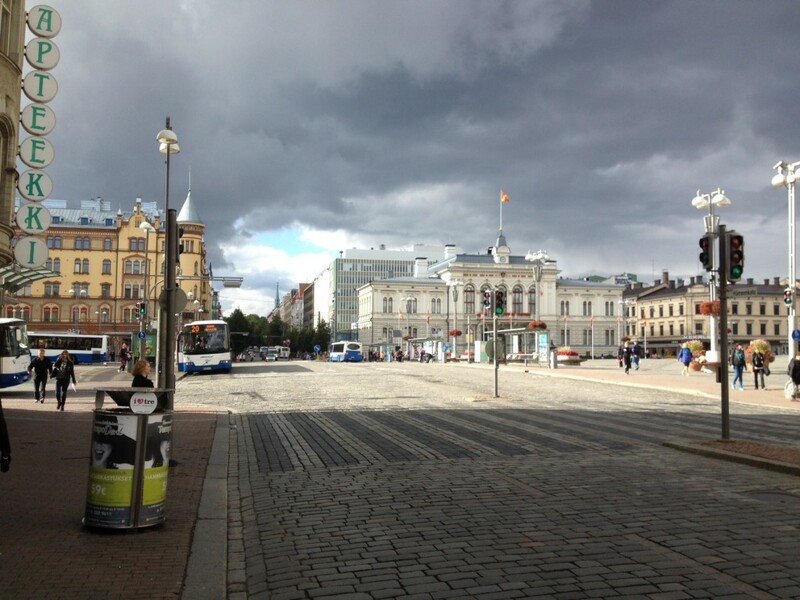 We have met super interesting people and enjoyed the Finnish atmosphere of the city of Tampere which I warmly recommend for it’s views, huge amount of restaurants and cafes. The level of education is very high in Finland, everybody we have met would speak fluently English which is really not the case in France. Their educational system should give the French some enlightenment. 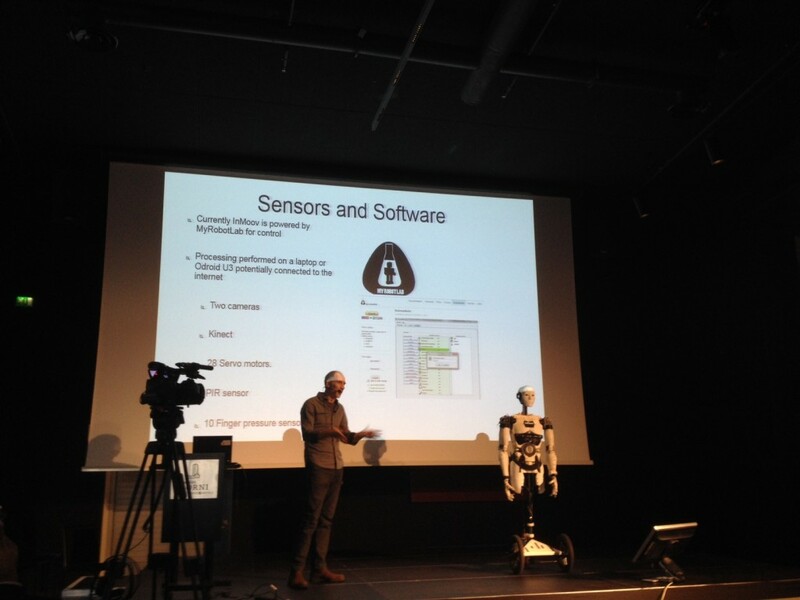 Link to the demonstration of InMoov at the end of my conference. 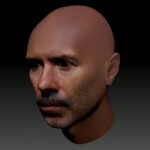 It is interesting to see what direction Open Source has been taking in a few years. The focus of many actors is how to make money with Open Source, which is a logical and necessary interaction of the economical world of today looking for tomorrow’s solutions. Though, regardless it is necessary, it shouldn’t become the only factor to use Open Source. I strongly believe that sharing knowledge is the key to solve many issues we have in our society, pure capitalism has shown its limits when it concerns the survey of planet, Open Source shall not be just another purpose to make again more money. We have seen, in the past ten years, how the “Green” concerns have been digested into a melting pot in which it is now difficult to see the difference between “real Green” and “fake Green”. Is it for the best of our planet? I think, it is for the best of a few. Will we see the same happening with Open Source, is it already happening? Evolution instead of a revolution, it is for all the best, therefore knowledge of everyone must be used to go forward. This entry was published on September 26, 2015 / Gael Langevin. Posted in Finland, MindTrek. Bookmark the permalink. 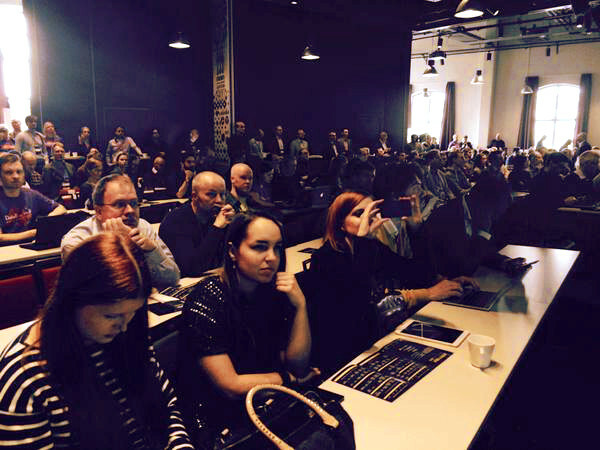 Will the video from MindTrek OpenMind 2015 Tampere Finland conference be available to watch any where? It looks to be very interesting. 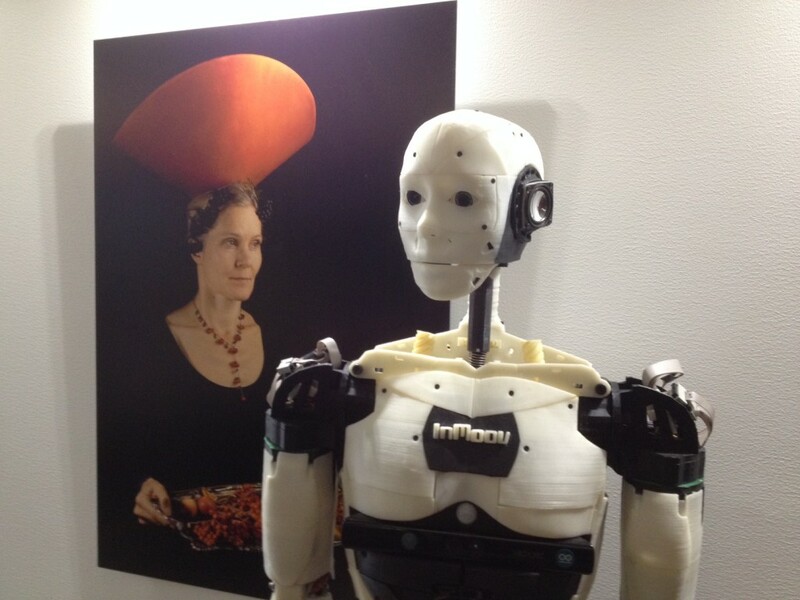 What is available for now as video, is a overview of the event, and the last part of my conference in which I do a small demonstration of InMoov. No video yet of the conference itself. Access to all news content is on the total bottom of the home page of the site.